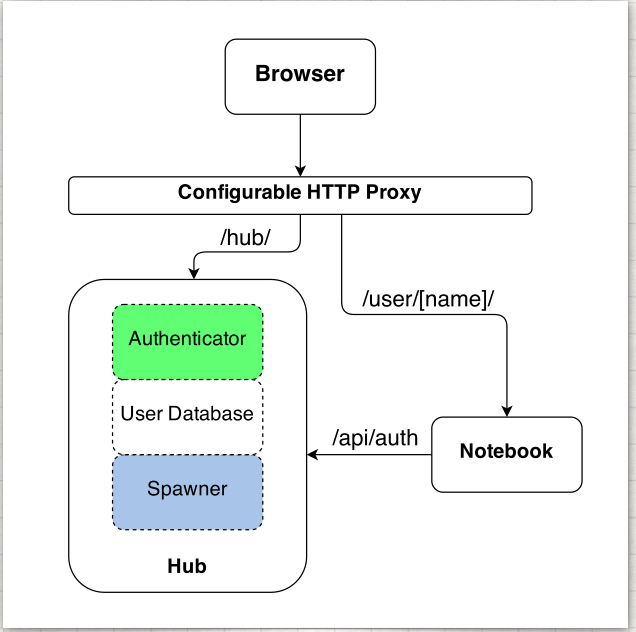 JupyterHub, a multi-user Hub, spawns, manages, and proxies multiple instances of the single-user Jupyter notebook server. JupyterHub can be used to serve notebooks to a class of students, a corporate data science group, or a scientific research group. For convenient administration of the Hub, its users, and services, JupyterHub also provides a REST API. The JupyterHub team and Project Jupyter value our community, and JupyterHub follows the Jupyter [Community Guides](https://jupyter.readthedocs.io/en/latest/community/content-community.html).